When it comes to the Caribbean, it’s all about the destination. Anyone who thinks the islands are all the same is operating under a false impression. Sure, almost every Caribbean island features consistently warm weather, sunny blue skies ad powdery white-sand beaches. But beyond those jewels, the region’s true value lies in the region’s under-rated (and often under-appreciated) array of cuisines, cultural attractions, historic sites and distinctive natural features. Fortunately, there are several Caribbean destinations offering a variety of travel packages that offer travelers multiple opportunities to sample a little of each destination’s own particular brand of island flavor. Tiny Anguilla encompasses only 35 square miles, but that relatively small land mass is ringed by spectacular coral reefs and beaches, and is home to outstanding upscale boutique hotels, several of which are offering special packages. For example, the Anacaona Boutique Hotel’s “Summer Sojourn” package offers a complimentary extra night to guests who book four, five or six consecutive nights through Dec. 19, 2014. Nightly rates start at $160 for a standard room. At Anguilla’s CuisinArt Golf Resort & Spa, the “Suite Escapes” promotion offers travelers 30 percent off suite accommodations. Nightly rates start at $420 for Sea View junior suites through Dec. 19, 2014. Also, the Frangipani Beach Resort is offering a “Beach Break Special” for stays exceeding six nights, and an “Endless Summer Special” that applies to stays of more than nine nights. Both packages are available through Dec. 16, 2014. The “Beach Break” offer includes 10 percent off junior suites, 15 percent off one-bedroom suites and 20 percent off two- or three-bedroom suites. Endless Summer features 20 percent off junior suites and one-bedroom suites. Nightly rates start at $325 excluding the discount. Both specials are valid through, excluding the resort’s closure during September and October. For more information, please visit www.frangipaniresort.com. Finally, the Viceroy Anguilla is encouraging families to “linger longer” with a complimentary fifth night through Dec. 19, 2014. Nightly rates start at $500 for a deluxe ocean view studio room. Routinely described as one of the world’s most beautiful beaches, five mile-long Grace Bay Beach on Providenciales, the largest of the Turs & Caicos Islands, is understandably a primary attraction in this northern Atlantic archipelago. 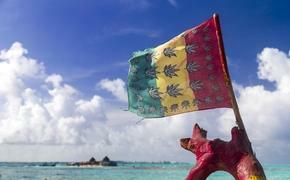 But fall’s arrival also brings the annual Caribbean Food & Wine Festival to the Turks & Caicos. Slated for November 6 to 8, the weekend celebration showcases Caribbean culture and cuisine with expert guest and local chefs and outstanding food and wine. This year’s all-star Festival chefs will include New York restaurateur and former “Top Chef” contestant Leah Cohen, David Lefevre of Manhattan Beach Post in California, and Hans Peter Haider of Austria’s Hotel 12. The event will be hosted by Grace Bay Resorts in partnership with the Turks and Caicos Tourist Board and The Wine Cellar in Providenciales, Turks & Caicos. In accordance with the Festival, Grace Bay Resorts is offering 20 percent off rates to travelers who reserve reservation at least 21 days in advance of arrival. The offer applies to all suite and ocean front accommodations and includes full breakfast daily, a personal concierge, afternoon tea, bottled water, wireless Internet and international and local telephone calls. And while summer has official ended, the West Bay Club’s still has all-inclusive “Summer on the Beach” packages available through Dec. 15, 2014. The packages feature a welcome amenity, daily breakfast, lunch and dinner including special menu nights and one private beach dinner, alcoholic and non-alcoholic beverages, roundtrip airport transfers and complimentary Wi-Fi. Meanwhile, the Gansevoort Turks & Caicos, the island outpost hip lifestyle brand defined by its Gansevoort Meatpacking NYC flagship, is participating in the Food & Wine Festival through its gourmet restaurant, Stelle. The upscale eatery will be included as part of the Food & Wine Festival’s “Gourmet Safari” dine-around. 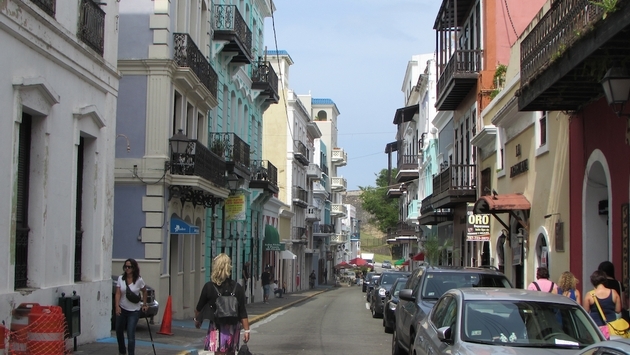 Puerto Rico may be the perfect Caribbean destination. This island’s beautiful beaches and lush natural landscape combines with an exciting and historic urban center in San Juan. Puerto Rico offers the additional amenity of proximity to the U.S. In fact it is part of the U.S.! Not only San Juan offer rich culture and historic attractions, but the city is also filled with upscale hotel and resorts, trendy restaurants and bars, outstanding shopping venues and a robust modern art scene. This fall, one of San Juan’s many historic properties, Hotel El Convento, is offering a “Glimpse Into The Past” package featuring up to $100 in savings for parking, dining, and activities. The property is housed in a restored, 360-year old Carmelite convent and is the oldest member of the Historic Hotels of America. Another historic property, the Condado Vanderbilt Hotel is scheduled to re-open on Dec. 1, 2014 following a $200 million revitalization that will feature 319 restored guest rooms and suite accommodations, a spa facility featuring what is billed as Puerto Rico’s first hammam; two pool lounges with butler service, and an international restaurant featuring a menu designed by celebrity chef Juan Jose Cuevas. Beyond San Juan, the Copamarina Beach Resort & Spa, Puerto Rico located one hour outside of the historic capital offers an ocean front resort set amidst 20 acres of lush tropical gardens. This fall, Copamarina is celebrating a $1 million renovation of its guest rooms with an “Adventure Package” featuring daily breakfast for two, a one-hour hike in the nearby Guanica Dry Forest reserve with a lunch box for two, and daily sports activities including mountain biking, kayaking, sailing, surfing and diving.